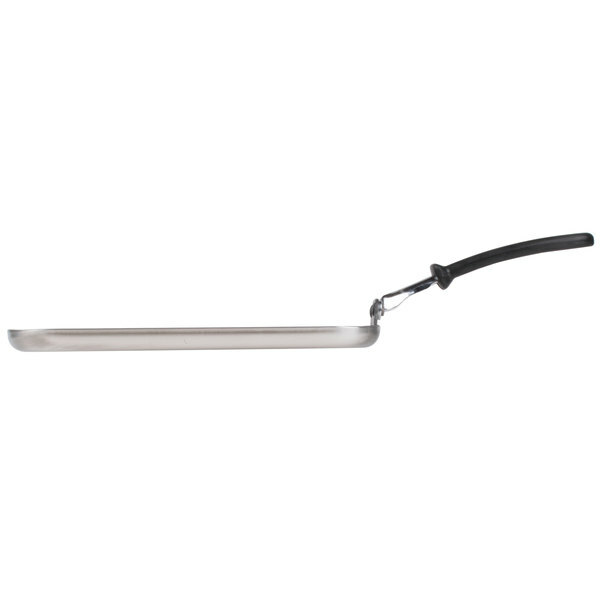 Cook up all the classics with this Vollrath 77530 Tribute 12" CeramiGuard II non-stick griddle. 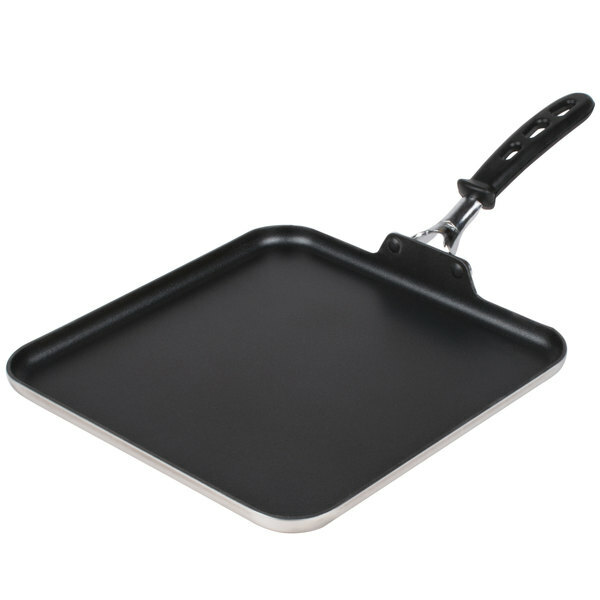 Perfect for grilled cheese, quesadillas, french toast, pancakes, and eggs, this Vollrath 77530 Tribute CeramiGuard II non-stick griddle is great for cooking up a variety of popular menu items. 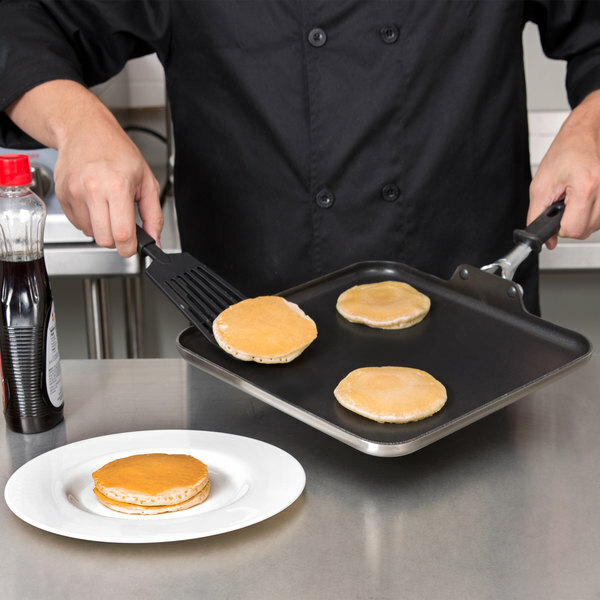 Starting with breakfast and continuing on through lunch and dinner, this versatile and durable griddle delivers at every meal to keep customers full and happy! 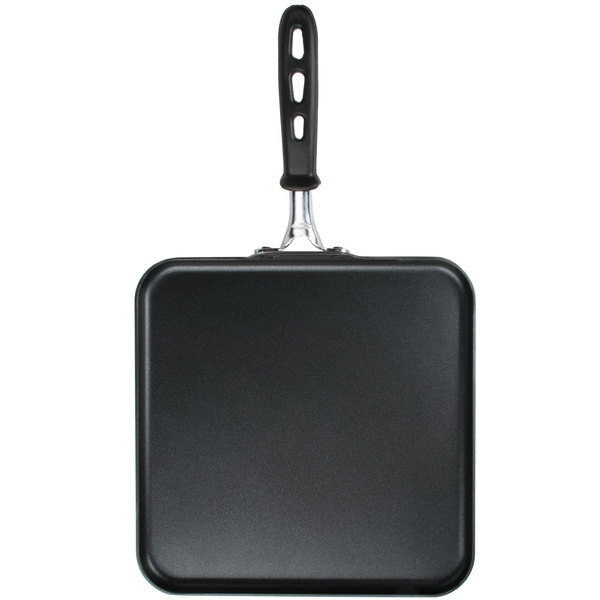 "This is a great non stick square pan. It's awesome because you can make four pancakes at a time or four sandwiches. The handle doesn't heat up either!" 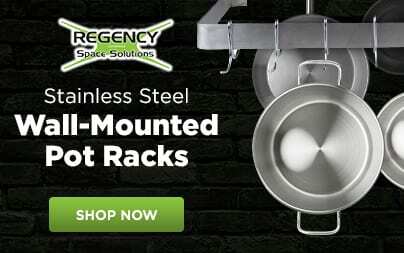 Its 3004 series aluminum core eliminates hot spots and provides even heating on the bottom of the pan. A non-reactive 18-8 stainless steel interior surrounds the core and is topped with a strong 18-0 stainless steel exterior to stand up to punishing commercial kitchen conditions. Its CeramiGuard II non-stick interior coating provides unparalleled durability and release. 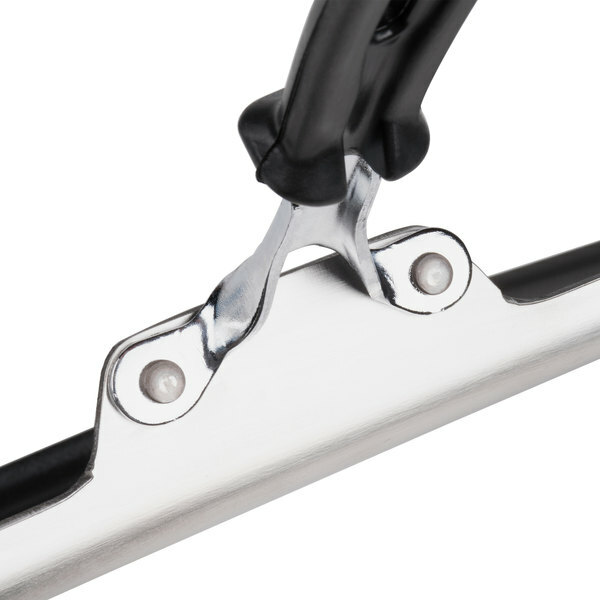 Its EverTite riveting system ensures a rigid connection between the handle and vessel. The silicone-coated TriVent handle can withstand temperatures up to 450 degrees Fahrenheit even during continuous use, providing added comfort and safety thanks to its silicone grip and ergonomic design. 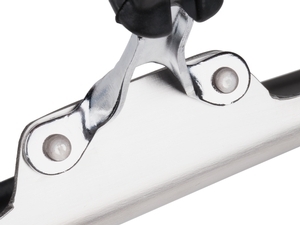 There's also a separation between the rivet and the start of the handle, which significantly reduces the heat transfer from the pan. 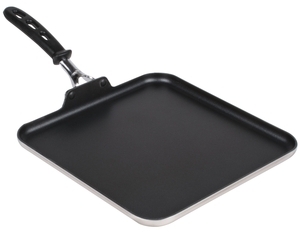 The Vollrath Tribute 12” CeramiGuard II Non-Stick Griddle with Silicone-Coated Handle is well made and sturdy. 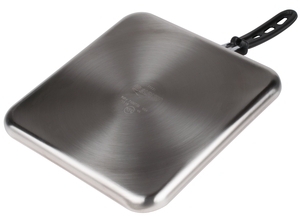 It heats evenly and is very durable and long lasting. You can’t go wrong with this item. WARNING: This item does NOT work on all induction units! And it will cost you a 30% restocking fee just to find out. Better to just look somewhere else. But it from elsewhere online, they'll take it back no questions asked. Thank you for your review, Michael. We are sorry this pan did not work out for you. As per your correspondence with our Customer Solutions Representative, we will be lowering the restocking fee for this item for you. six of these for my food truck based marketing promo tour. After trying some cheap ones which did not work on my 3 Vollrath 5000 watts induction stove tops, these were a godsend and perfect match for the equipment. They were also delivered quickly. This griddle is for home use. I use it a couple times a week to make grilled cheese sandwiches and I love it. It does not warp. Heats evenly. Love this griddle! 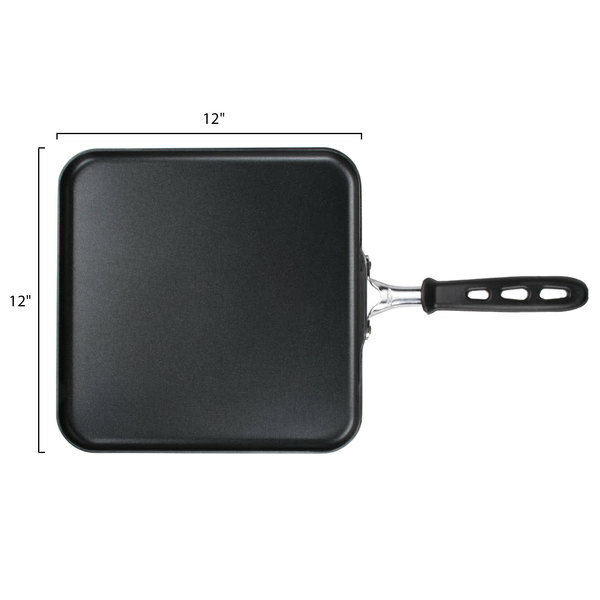 12" gives plenty of room to cook 4 pancakes or grilled sandwiches at once. Perfectly flat bottom, heavy weight and absolute nonstick surface. Totally worth the money. I use it everyday for pancakes at breakfast to searing scallops for dinner. 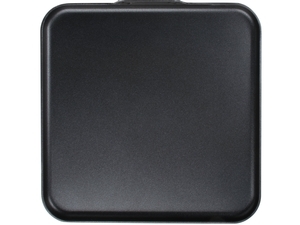 This is a great non stick square pan. It's awesome because you can make four pancakes at a time or four sandwiches. The handle doesn't heat up either! If you are looking for a quality griddle then look no more: this is the one! I had EmerilWare and Calphalon griddle before, but both of them failed within 1 year of use. Vollrath on the other hand is a different thing on its own: it is made from clad steel compared to the weak aluminum that most of the other griddles are. This griddle is so good that I am considering getting another one. This Vollrath griddle does not warp and stays flat all the time. Heats up fast and evenly. Works very well with Vollrath 59500 countertop induction cooker. 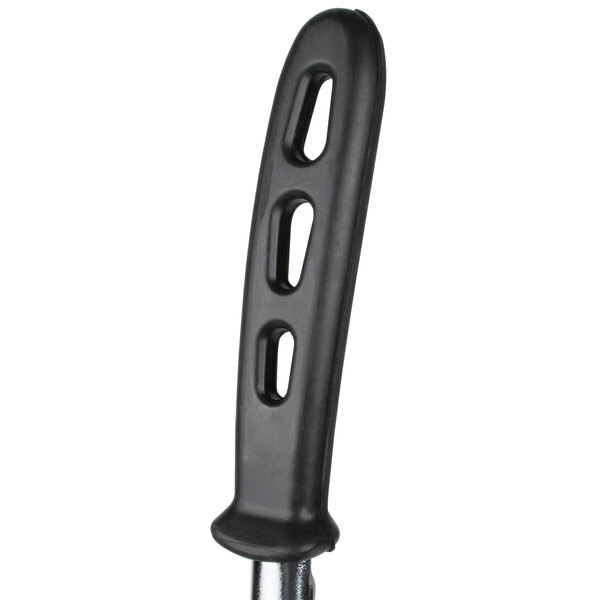 Very versatile we use it for everything from pancakes to cooking tortillas.